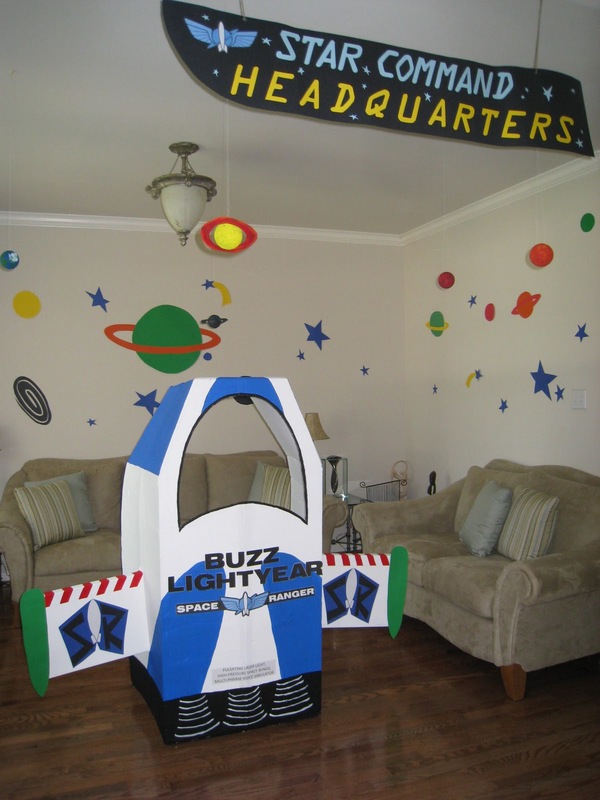 The Party Wall: Buzz Lightyear Rocketship Featured by "Catch My Party"
Buzz Lightyear Rocketship Featured by "Catch My Party"
This Party Wall is really taking off (excuse the pun)!! The rocketship from my son's Toy Story Party was featured by the Catch My Party Blog! I saw that post! I am intrigued on how you made the ship?! It's made with cardboard boxes, paint, glue and LOTS of love, time and effort! It was worth it to see one happy little birthday boy! Please share how you did it? as i can not picture in my head how with boxes? mind freeze. I was wondering how you got the SR with the rocket ship(on the wings) and the space rangers sign, was this borrowed from somewhere on the internet, or done by hand?